I left the KO-OP Monday after having a flat battery in the Tank. I wasn't sure what caused it to go dead although I hadn't started the truck in nine days. The battery is a 72 month battery that was installed July 2011 so it should have been good for several more years. 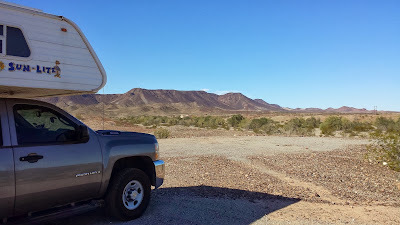 I opened the hood of the truck and walked around the back and by the time I got up to the front again a helpful fellow Escapee, Frank, who had the site next to mine was outside offering his battery charger. The people at the KO-OP are just unbelievably friendly and helpful. Jay, another Escapee driving by in his golf cart stopped and offered a bunch of good advice. 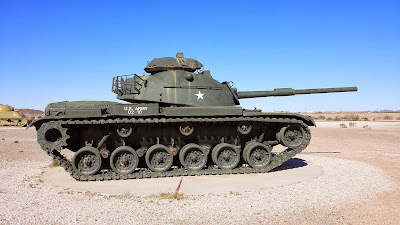 I think if I ever have a question about one of the Tank's systems I'll just go to an Escapee RV park, open a storage door on the outside of the Tank and take my cap off and scratch my head -- I'll probably instantly have Escapee's standing around me offering to help. After getting the engine started I headed north up Arizona 95 to boondock on the BLM land near Lake Mittery in California. My route took me past the US Army Yuma Proving Grounds where they have an open to the public display of fighting vehicles. 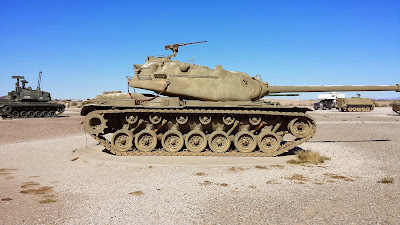 M-60 Main Battle Tank.....wonder if the Tank is a relative? Display placard said this thing ways 60 tons! Rapping on the armor with your knuckles demonstrates how incredibly solid an actual tank is, and teaches you not to do that! What better way to spend a 75 degree afternoon than looking at tanks? 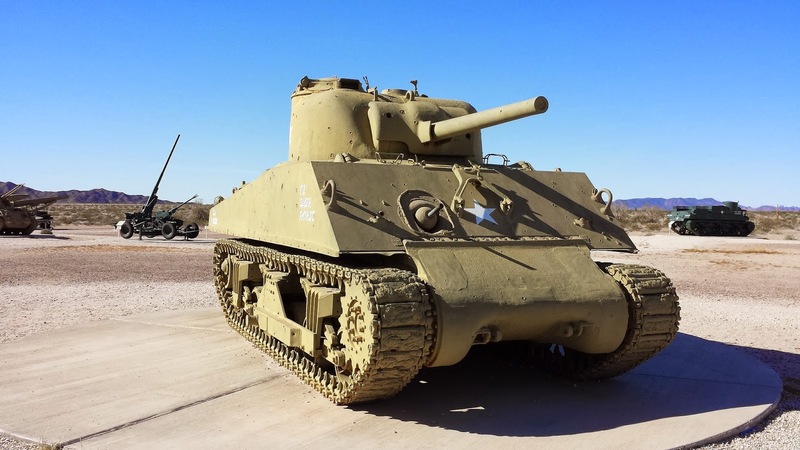 The Tank's beautiful view of the mountains.